Yiwu Arts & Crafts Market is located in the 3rd floor, 1st district of China Yiwu International Trade City. Yiwu Arts and Crafts Market has been established for more than 20 years. Now it contains 200,000 workers, and supplies the most varieties of photo frames, vases, crystal crafts and Christmas decors in the world. Yiwu Art and Craft Market, on the 3rd floor of district I, is closed to the Yiwu Jewelry Market in Yiwu International Trade City. There are several separated sections for over 3,000 booths of Christmas decorations, wedding supplies, ceramic arts vases, crystal crafts, photo frames in the Yiwu Arts & Crafts Market. An exclusive market for photo frames and painting was built at Zhaozhai, one block away from International Trade City. Yiwu Arts and Crafts Market has been established for more than 20 years. Now it contains 200,000 workers, and supplies the most varieties of photo frames, vases, crystal crafts and Christmas decorsin the world. An official data shows that 50% of the Christmas decors in the world produced in China, then distributed to other countries. A typical booth is about 4*4*3 metres. There are more than 3,000 shops with splendid crafts and arts in Yiwu Arts & Crafts Market. A few arts and crafts are unique and valuable. Many stalls expect the customers to buy there samples but not a free sample. And if you place your order, the former sample fee you paid would be deducted from the amount. Price has a range from cents for Christmas decors to thousands or even more for a unique true art and craft. There are still tons of chances to come across dollar items. Minimum Order Quantity is from one piece to hundreds according the feature of the arts and crafts. In Yiwu Market it is inevitable to avoid the bad services from suppliers from around China, even around the globe. Therefore, you’d better not expect the warm services each time. What we can do for you is to reduce the rate of this kind of situation, and help you establish a good relationship with suppliers quickly. Further more, we will offer first-rate services to you not just as interpreter but friends. When you are in Yiwu China, you will never feel what’s going on here instead that you exactly know what you are doing. Welcome to Yiwu Arts & Crafts Market! 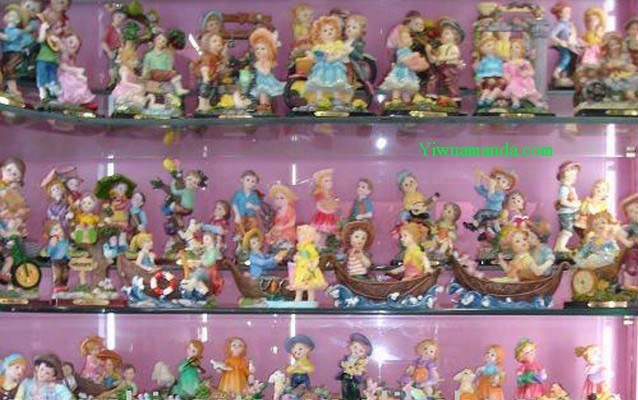 Yiwu Tianshu Toys Co., Ltd.